There's just too much hype about Andy Murray. From being called the 'true no.1' to believing that he can 'easily' beat Roger Federer in the upcoming US Open, can he really live up to the hype? 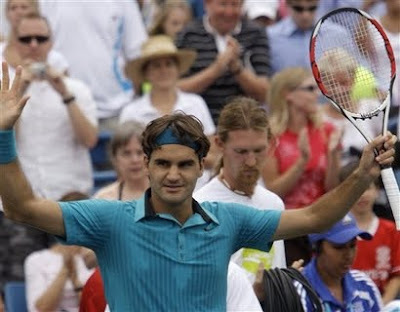 Federer defeated Murray 6-2, 7-6 at the Cincinnati Masters semifinals and will meet Novak Djokovic in the final after the Serbian defeated Rafael Nadal 6-1, 6-4.